In addition to the much-celebrated Youth Media Awards, there are other kid lit awards that have been revealed. 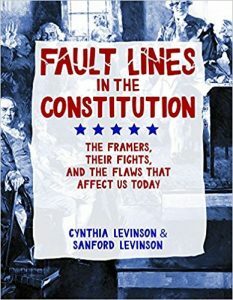 Here is a roundup of bibliographies, finalists, and lauded titles that have recently received acclaim. In addition to the much-celebrated Youth Media Awards, which took place this year in Denver as part of the American Library Association’s Midwinter Meeting, there are other kid lit awards that are usually revealed around this time of year. Below is a roundup of bibliographies, finalists, and lauded titles that have received acclaim in the past few weeks. This post will be updated as more accolades are announced. Autoboyography, Christina Lauren, S. & S.
The YA graphic novel Spinning by Tillie Walden (First Second) was the only book for young readers chosen for the LGBTQ Graphic Novel category. The Lambda Literary Awards celebrate achievement in LGBTQ writing for books published in 2017. The awards ceremony on June 4 will be held at the NYU Skirball Center for the Performing Arts. The 2018 Amelia Bloomer Project committee has selected 56 recommended feminist books for young readers (0 to 18), and its top 10 includes SLJ Best Books #NotYourPrincess: Voices of Native American Women, edited by Lisa Charleyboy and Mary Beth Leatherdale (Annick), and Piecing Me Together by Renée Watson (Bloomsbury). The Amelia Bloomer List is a project of the Feminist Task Force of the Social Responsibilities Round Table of the American Library Association (ALA). Members of the 2018 Amelia Bloomer Project committee are Katelyn Browne (co-chair), University of Northern Iowa; Lizz Zitron (co-chair), Pacific Lutheran University (WA); Kelly Dickinson, National Cathedral School (Washington, DC); Emily Fear, Sewickley Public Library (PA); Natasha Forrester Campbell, Multnomah County Library (OR); Kelsey Keyes, Boise State University (ID); Caitie Morphew, Carnegie Library of Pittsburgh; Melissa Nemitz, West Windsor Branch of the Mercer County Library System (NJ); and Leila Roy, Lyman Community Library (ME). Alternate: Ally Watkins, Mississippi Library Commission. The American Indian Library Association (AILA), an affiliate of ALA, has selected three titles to receive the 2018 American Indian Youth Literature Award. The 2018 AILA Best Picture Book is Shanyaak'utlaax: Salmon Boy (2017), published by Sealaska Heritage Institute, illustrated by Tlingit artist Michaela Goade and edited by Tlingit speakers Johnny Marks, Hans Chester, David Katzeek, Nora Dauenhauer, and Tlingit linguist Richard Dauenhauer. The 2018 AILA Best Middle School Book is Tales of the Mighty Code Talkers, Volume 1 (2016), published by Native Realities, edited by Arigon Starr (Kickapoo) and featuring the work of Theo Tso (Las Vegas Paiute), Jonathan Nelson (Diné), Kristina Bad Hand (Sičháŋǧu Lakota/Cherokee), Roy Boney Jr. (Cherokee), Lee Francis IV (Laguna Pueblo), Johnnie Diacon (Mvskoke/Creek), Weshoyot Alvitre (Tongva), Renee Nejo (Mesa Grand Band of Mission Indians), and Michael Sheyahshe (Caddo). 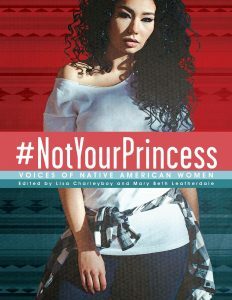 The 2018 AILA Best Young Adult Book is #NotYourPrincess: Voices of Native American Women (2017), published by Annick Press, edited by Lisa Charleyboy (Tsilhqot’in) and Mary Beth Leatherdale. The American Indian Youth Literature Awards are presented every two years. The awards were established as a way to identify and honor the very best writing and illustrations by and about American Indians and Alaska Natives. Books selected to receive the award present American Indians in the fullness of their humanity in the present and in past contexts. Honor Books are also selected in each category. Arnold, Elana. What Girls Are Made Of. Lerner/Carolrhoda Lab. 2017. 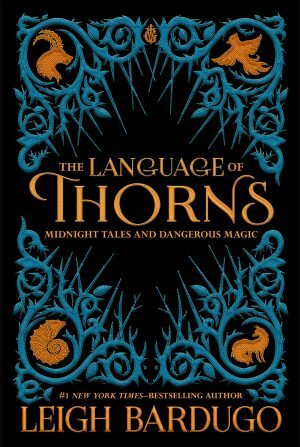 Bardugo, Leigh. 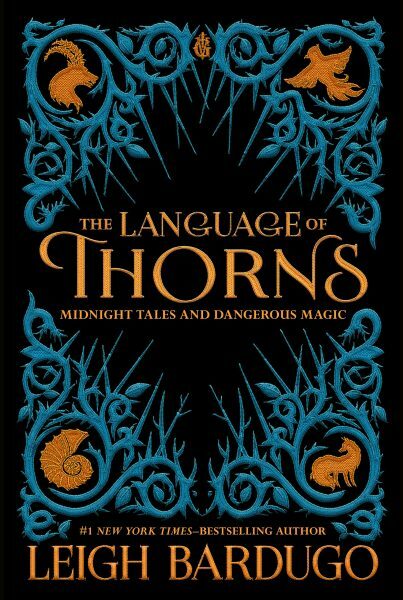 The Language of Thorns: Midnight Tales and Dangerous Magic. Illus. by Sara Kipin. Macmillan/Imprint. 2017. Lee, Mackenzi. The Gentleman's Guide to Vice and Virtue. HarperCollins/Katherine Tegen Bks. 2017. Moon, Sarah. Sparrow. Scholastic/Arthur A. Levine. 2017. Reynolds, Jason. Long Way Down. S. & S./Atheneum. 2017. Taylor, Laini. Strange the Dreamer. Little, Brown. 2017. Thomas, Angie. The Hate U Give. HarperCollins/Balzer+Bray. 2017. Watson, Renee. Piecing Me Together. Bloomsbury. 2017. Zappia, Francesca. Eliza and Her Monsters. HarperCollins/Greenwillow. 2017. Zentner, Jeff. Goodbye Days. Crown. 2017. The members of the Best Fiction for Young Adults Committee are: Chair Kim Dare, Herndon High School, VA; Andria Amaral, Charleston County Public Library, SC; Sarah Carnahan, Pulaski Academy, Little Rock, AR; Claire Covington, Broadway High School, VA; Rosalind Eyre, Beaumont Independent School District (retired), TX; Debbie Fisher, Central Falls High School, RI; Lindsay Fricke, Novi Public Library, MI; Matthew Layne, The Emmet O’Neal Library, Mountain Brook, AL; Becky Reiser, Sacred Heart Schools, Atherton, CA; Celeste Rhoads, The American Library in Paris, France; Lorrie Roussin, Judson High School, Converse, TX; David Saia, Heim Middle School, Williamsville, NY; Jessica Hilbun Schwartz, Louisville Public Library, CO; Carrie Shaurette, Dwight-Englewood School, Englewood, NJ; Carolyn Vidmar, New Orleans Public Library; with the help of administrative assistant Molly Moore, Bogart Library, GA; and Sarah Hunter, Booklist consultant, Chicago, IL. 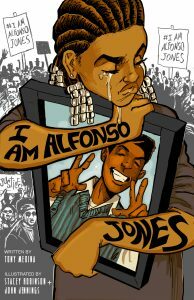 I Am Alfonso Jones. By Tony Medina. Illus. by Stacey Robison and John Jennings. 2017. Tu Bks. (9781620142639). My Brother’s Husband. By Gengoroh Tagame. Illus. by Gengoroh Tagame. 2017. Pantheon Bks. (9781101871515). 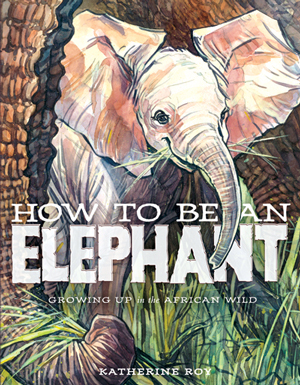 The Irma Simonton Black and James H. Black Award for Excellence in Children's Literature (Irma Black Award) goes to an outstanding book for young children—a book in which text and illustrations are inseparable, each enhancing and enlarging on the other to produce a singular whole. The Irma Black Award is unusual in that children are the final judges of the winning book. 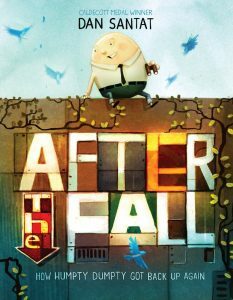 The Semi-Finalists Are: 7 Ate 9: The Untold Story by Tara Lazar; illustrated by Ross MacDonald (Disney-Hyperion) After the Fall: How Humpty Dumpty Got Back Up Again, written and illustrated by Dan Santat (Roaring Brook) Sparkle Boy by Lesléa Newman; illustrated by Maria Mola (Lee & Low) How the Cookie Crumbled: The True (and Not-So-True) Stories of the Invention of the Chocolate Chip Cookie, written and illustrated by Gilbert Ford (S. & S.) Would your school or library like to participate in choosing the outstanding picture book of the year award? Register here. The winner will be announced at the end of April 2018. The award will be presented on May 10, 2018, at Bank Street College. Each year a committee of the Association for Library Service to Children (ALSC) identifies the best of the best in children's books. According to the Notables Criteria, "notable" is defined as: "Worthy of note or notice, important, distinguished, outstanding. As applied to children's books, notable should be thought to include books of especially commendable quality, books that exhibit venturesome creativity, and books of fiction, information, poetry and pictures for all age levels (birth through age 14) that reflect and encourage children's interests in exemplary ways." A final draft of the list has been posted. The Notable Children’s Recordings list includes recordings for children 14 years of age and younger of especially commendable quality that demonstrate respect for young people’s intelligence and imagination, exhibit venturesome creativity, and reflect and encourage the interests of children and young adolescents in exemplary ways. A final draft of the list has been posted. 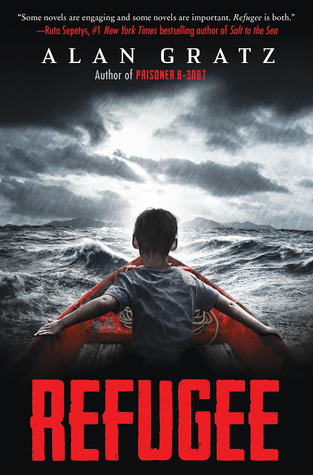 Notable Social Studies Trade Books for Young People is an annual reading list of exceptional books for use in social studies classrooms, selected by social studies educators. 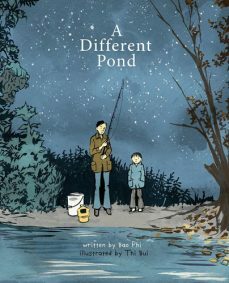 This year’s list includes A Different Pond, written by Bao Phi, illustrated by Thi Bui (Capstone); and Fault Lines in the Constitution: The Framers, Their Fights, and the Flaws that Affect Us Today by Cynthia and Sandord Levinson (Peachtree). This is an annual project of the National Council for the Social Studies (NCSS) and the CBC. This bibliography features K–12 annotated titles published in the previous calendar year, selected by a book review committee appointed by the NCSS. A joint project of the National Science Teachers Association (NSTA) and the CBC since 1973, Outstanding Science Trade Books for Students K–12 represents the year’s best books for science classrooms, chosen by science educators. The annotated bibliographies feature titles published in the previous calendar year and selected by a book review committee appointed by the NSTA. Titles are grouped by category, including: archaeology, anthropology, and paleontology; biography; Earth and space science; environment and ecology; life science; physical science; and technology and engineering. Each annotation contains bibliographic data. Some of the winning titles include How To Be an Elephant, written and illustrated by Katherine Roy (Macmillan/David Macaulay Studio), and Isaac the Alchemist by Mary Losure (Candlewick). The 2018 Rainbow Book List, a project of the Gay, Lesbian, Bisexual and Transgender Round Table (GLBTRT) of ALA, was announced at ALA’s Midwinter Meeting and Exhibits, held February 9­­–13 in Denver. The bibliography features recommended fiction and nonfiction titles for young readers, from birth through age 18, noted for their significant and authentic GLBTQ content. This year’s list includes 49 titles chosen by the committee, published between July 1, 2016, and Dec. 31, 2017. To view the 2018 bibliography, please visit: glbtrt.ala.org/rainbowbooks/archives/1270. The 2018 Rainbow Book List committee includes co-chair Robert Bittner, the University of British Columbia, Vancouver, BC; co-chair Alana Phelan, Oaklyn, NJ; Alec B. Chunn, Eugene Public Library, OR; Kristie L. Escobar, Florida State University, Tallahassee, FL; Kelly Jones, Orange County Public Library, NC, & University of North Carolina at Greensboro, Burlington; Catherine Pontoriero, Ocean County College Library, Toms River, NJ; Lynne Rhys, New Mexico Supreme Court Law Library, Santa Fe, NM. Winners of the annual Sydney Taylor Book Award were announced by the Association of Jewish Libraries on January 10. Named in memory of Sydney Taylor, author of the classic “All-of-a-Kind Family” series, the award recognizes books for children and teens that exemplify high literary standards while authentically portraying the Jewish experience. This year is the 50th Anniversary of the Sydney Taylor Awards. GOLD MEDALISTS The Language of Angels: A Story About the Reinvention of Hebrew by Richard Michelson, illustrated by Karla Gudeon, published by Charlesbridge, won the Sydney Taylor Book Award in the Younger Readers category. 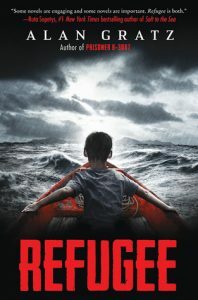 Refugee by Alan Gratz, published by Scholastic Press, an imprint of Scholastic, won the Sydney Taylor Book Award in the Older Readers category. The Librarian of Auschwitz by Antonio Iturbe, translated by Lilit Thwaites, published by Godwin Books, an imprint of Henry Holt and Company, a division of Macmillan Children's Publishing Group, won the Sydney Taylor Book Award in the Teen Readers category. Harold Grinspoon and PJ Library won the Sydney Taylor Body of Work Award. PJ Library, a project of the Harold Grinspoon Foundation, is a family engagement program that sends free books celebrating Jewish values and culture to families with children six months through eight years old. This program has revolutionized the field of Jewish children’s literature by providing dramatically improved access to Jewish books for families. It has also significantly increased the publication of children’s books with Jewish content. The Body of Work Award has been given 12 times in the 50-year history of the Sydney Taylor Awards. The last recipient was author Eric Kimmel in 2004.